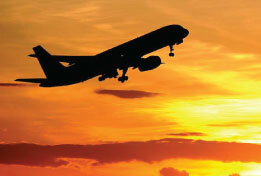 Travelpotato | Dubai Tour Packages, Book Dubai Hol Best of Europe!! Curated especially for you!! Welcome to DUBAI !! Arrival at Dubai Airport. Transfer to hotel. 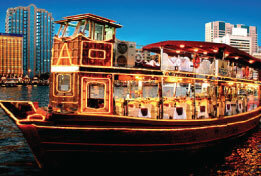 In the evening proceed for a memorable, Dhow Cruise dinner. Night stay at hotel. 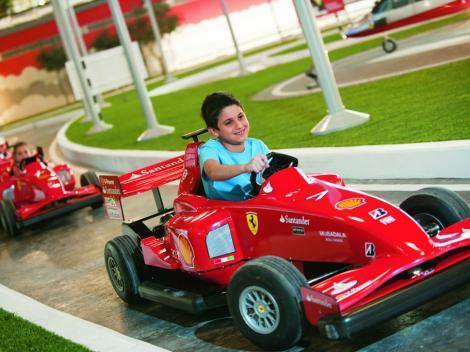 City tour of Abu Dhabi & Ferrari World - Bronze Tickets. Ferrari World Abu Dhabi is an amusement park on Yas Island in Abu Dhabi. The first and only Ferrari-branded theme park and has the record for the largest space frame structure ever built. Dubai Aquarium and Underwater Zoo with Dubai Mall. The 10 million-litre tank at the Dubai Aquarium is one of the largest in the world, containing more than 33,000 aquatic animals. In the Evening prepare yourself for an adventurous Desert safari followed by BBQ dinner and belly dance. Half Day City tour of Dubai & Burj Khalifa - 124th Floor - Return Transfer. The Burj Khalifa, known as the Burj Dubai before it was formally inagurated, is a skyscraper in Dubai, United Arab Emirates. It is the tallest megastructure in the world, with a height of an astounding 829.8 m.
Dubai Shopping Festival occurs during January-February and that is when you will see Dubai crowded and because of the peak season, hotel rates and airfares tend to go spike up. From April to October, the temperatures begin to rise. Summer months in Dubai are really, really hot and humid, making it almost impossible to be outdoors for longer durations. However, all malls/stores are air-conditioned so it usually comfortable to do some shopping. 6N Hotel accommodation with breakfast. 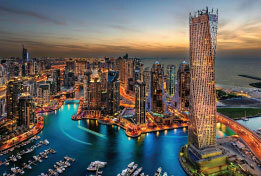 Half Day City tour of Dubai & Burj Khalifa - 124th Floor - (Non Peak Hours) - SIC Basis. 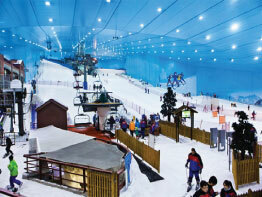 Snow Park Ski Dubai & Dhow Cruise With Dinner - SIC Basis. Anything not mentioned under 'Inclusions"